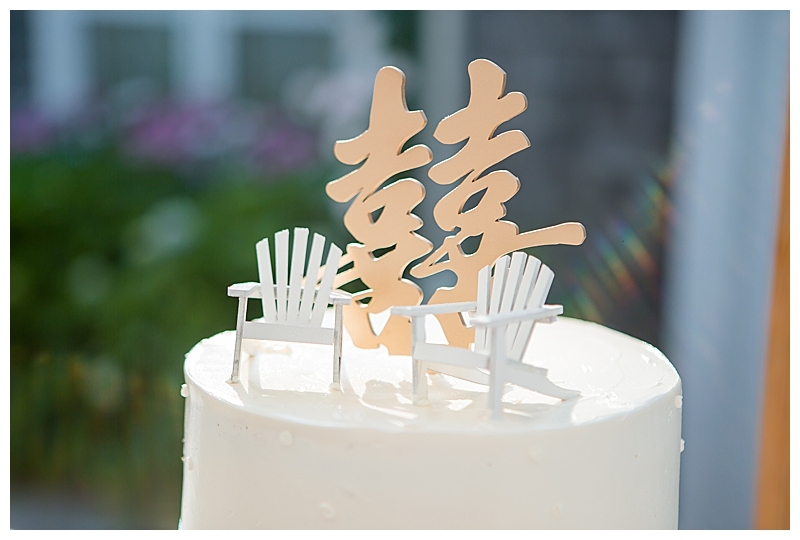 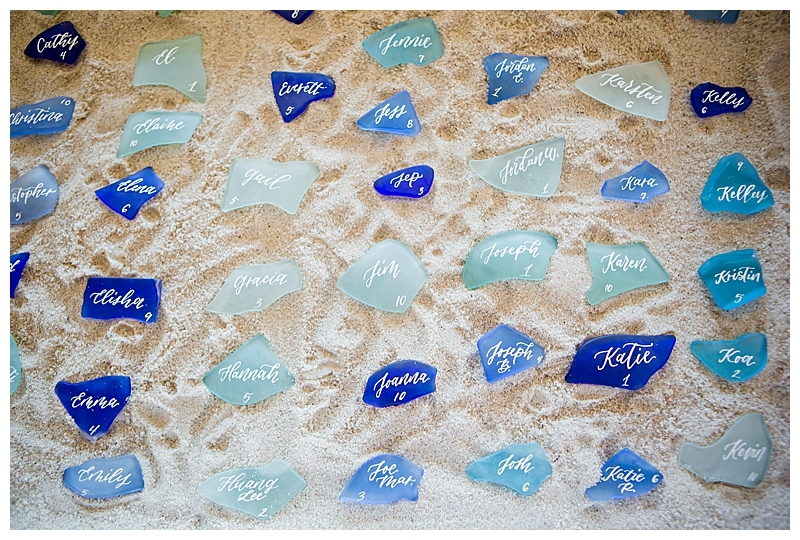 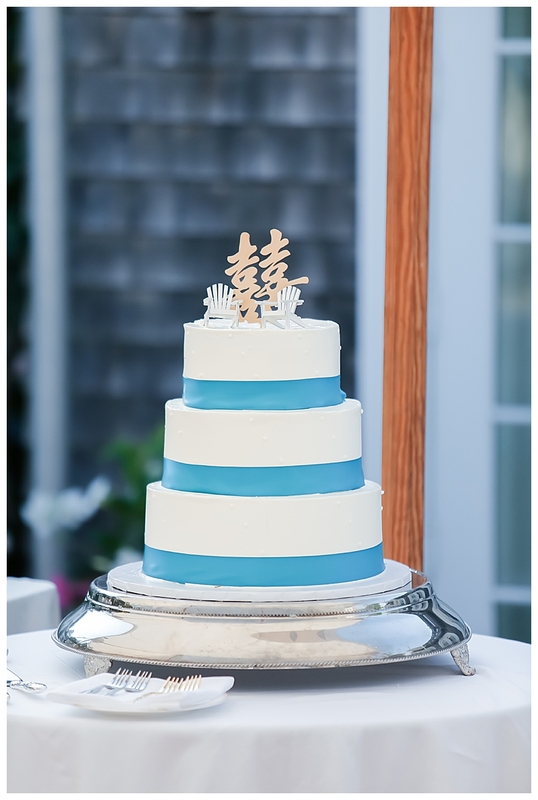 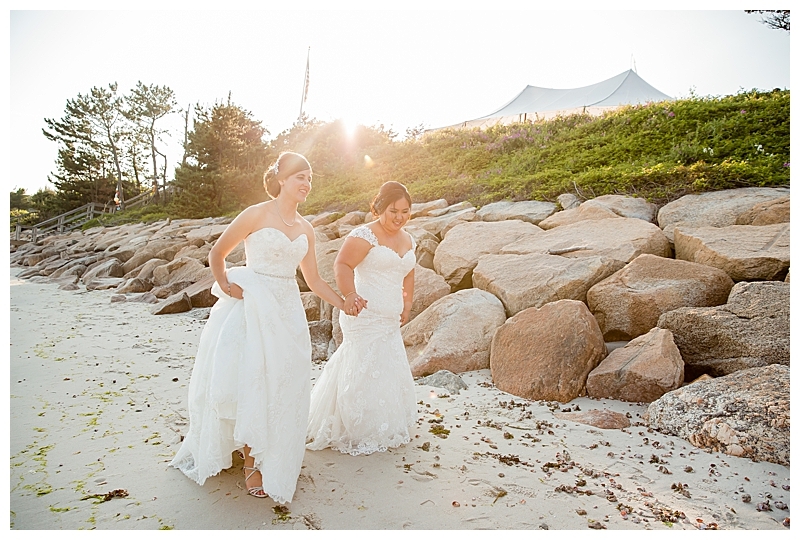 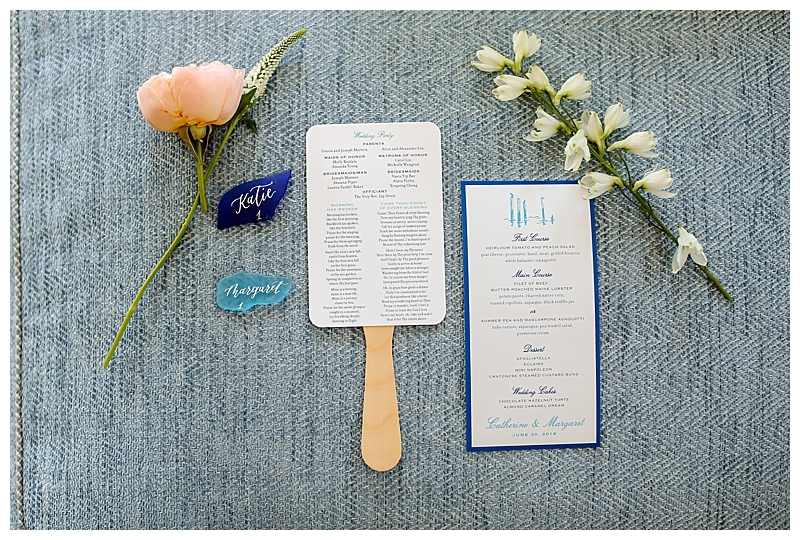 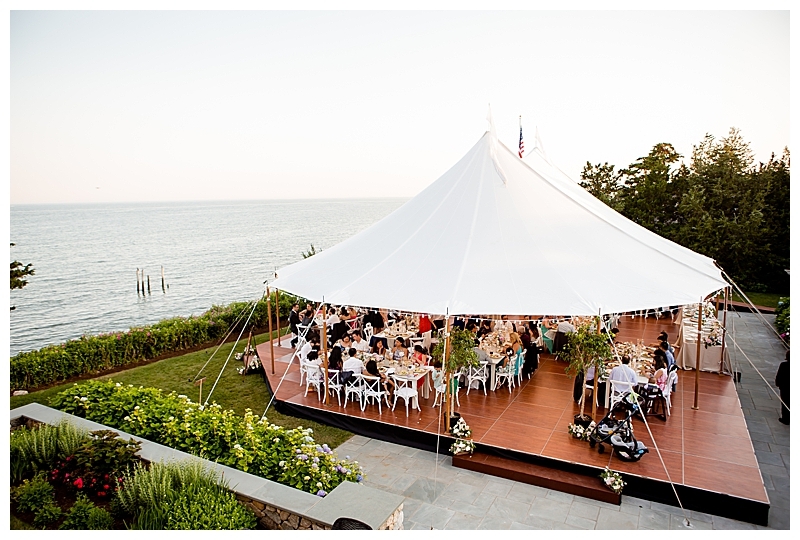 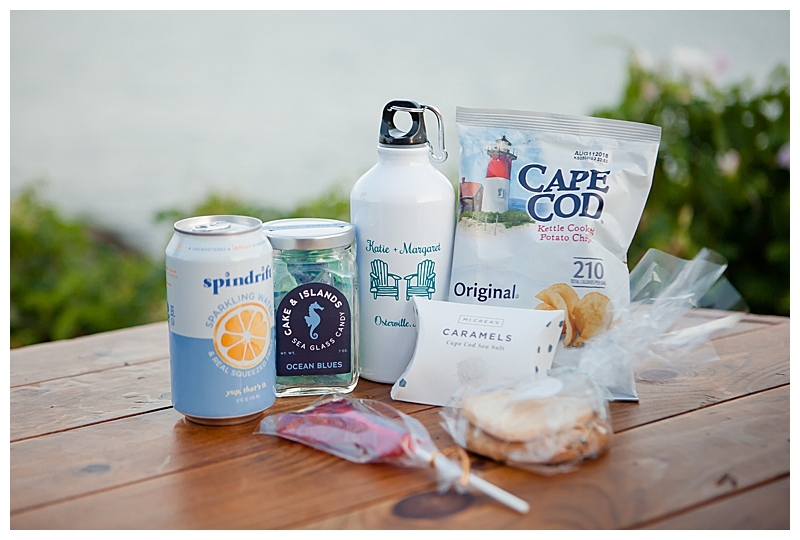 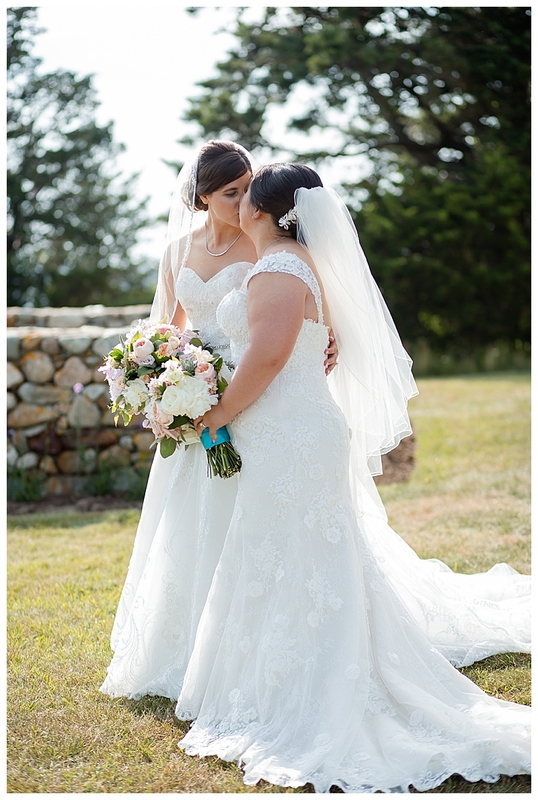 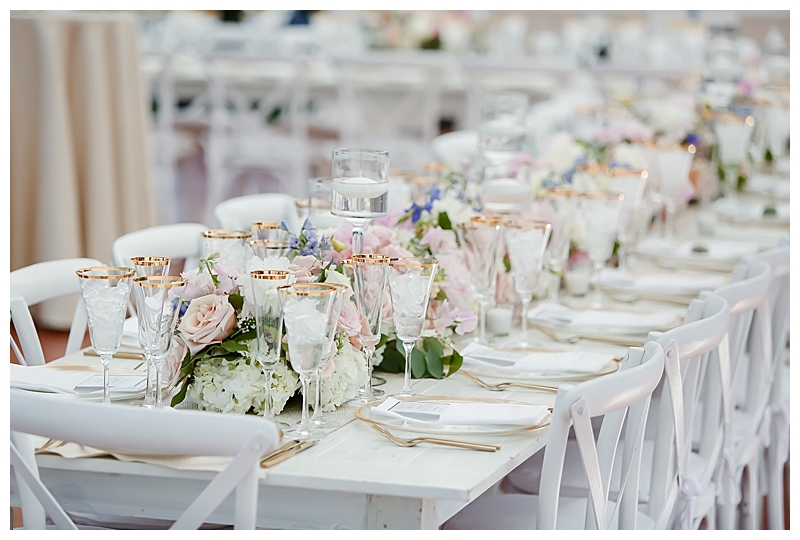 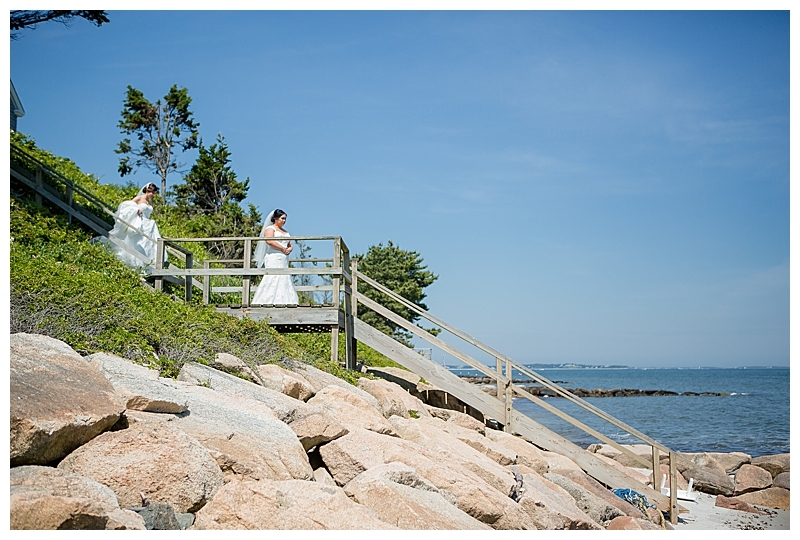 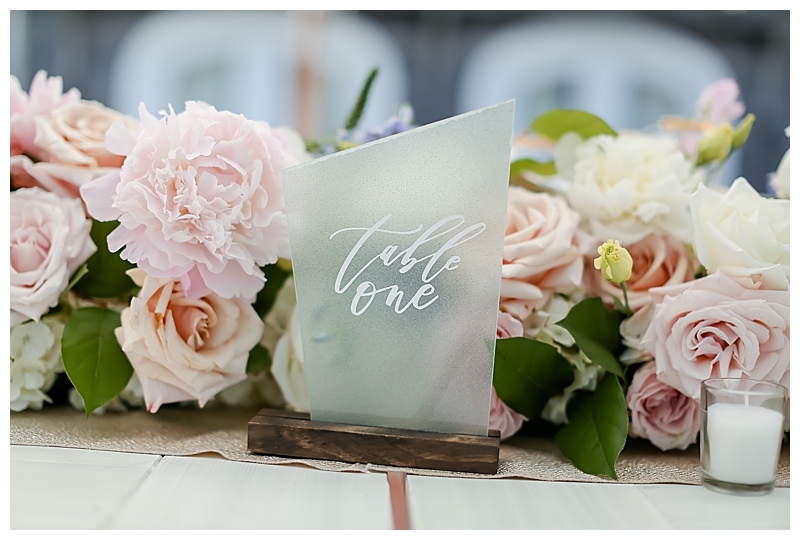 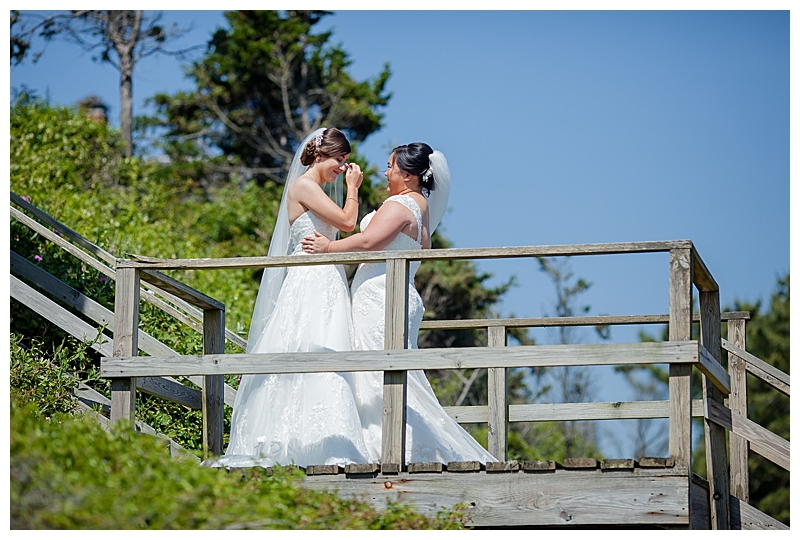 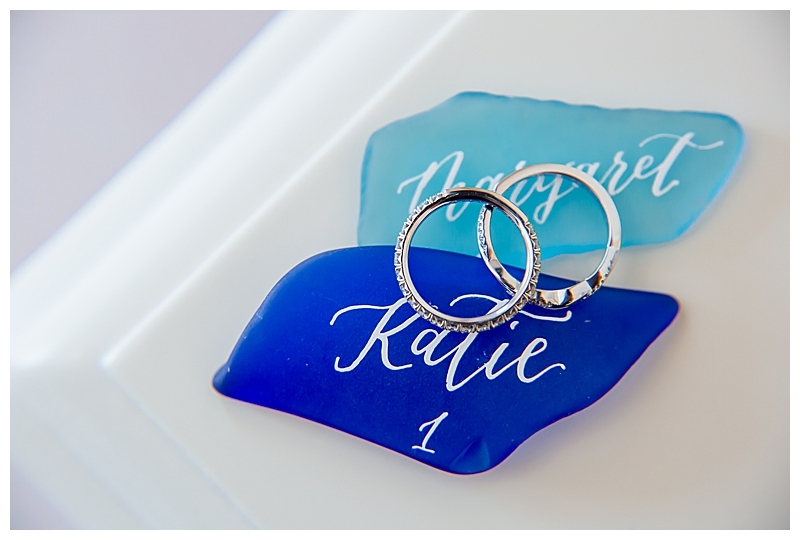 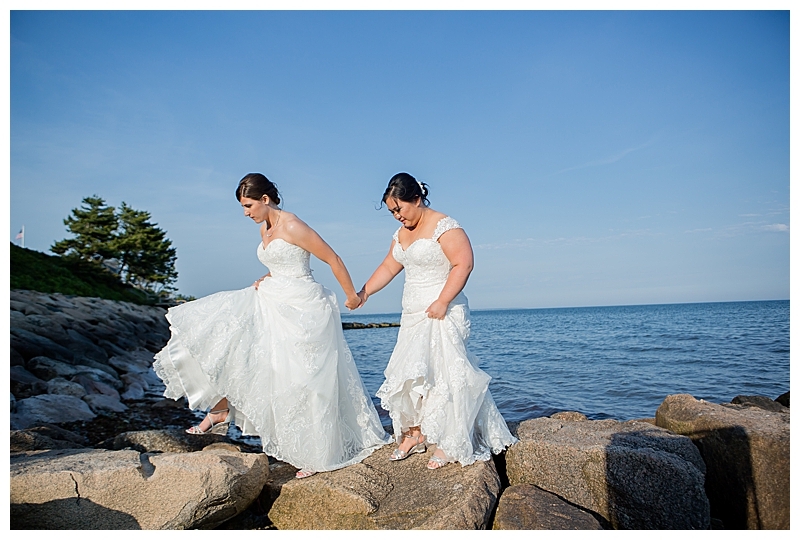 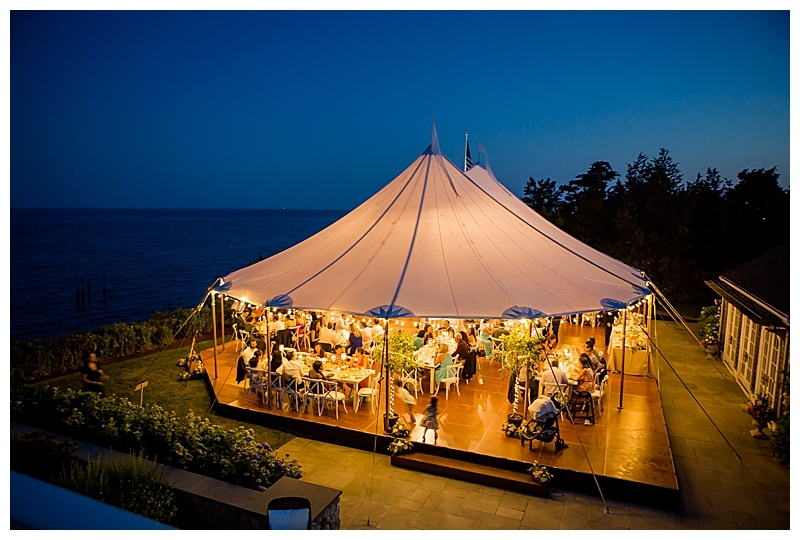 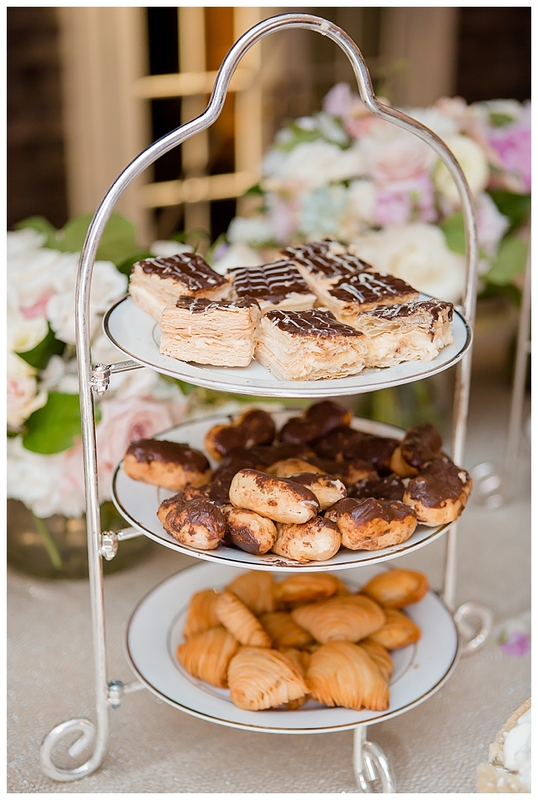 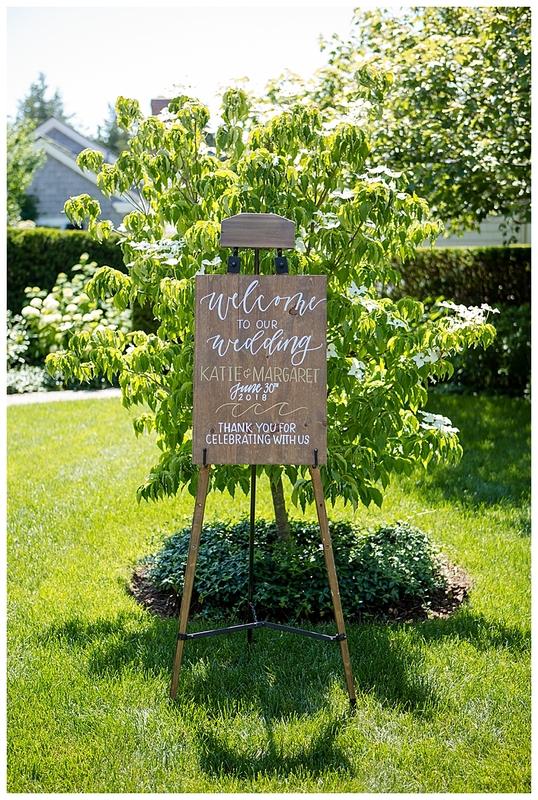 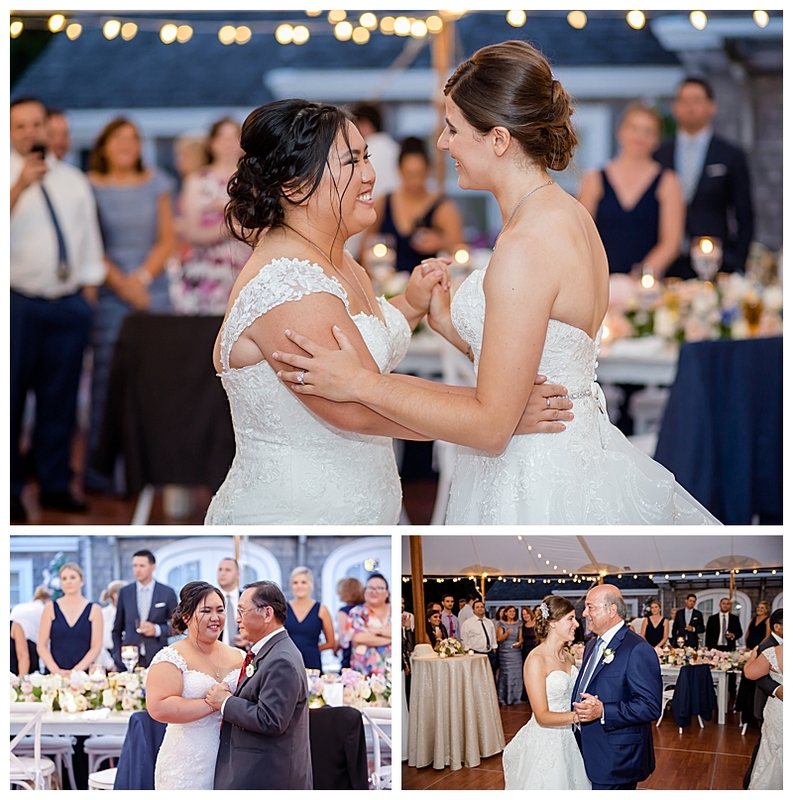 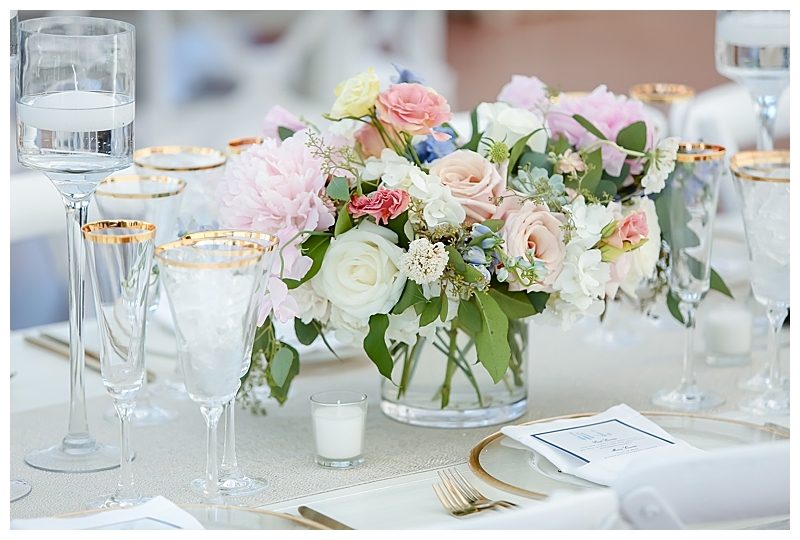 Margaret and Katie both grew up spending time at the beach with their families, so to properly tell their story, it was only fitting to have their wedding on Cape Cod, filled with details such as sea glass and Adirondack chairs. 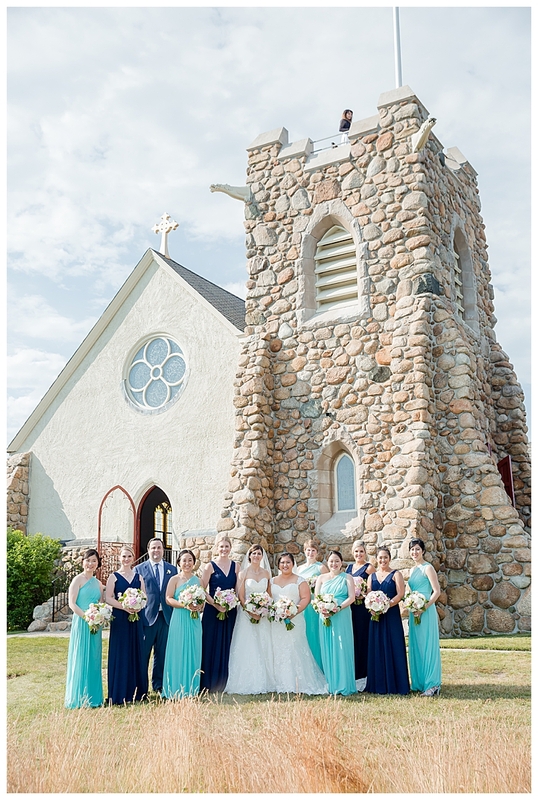 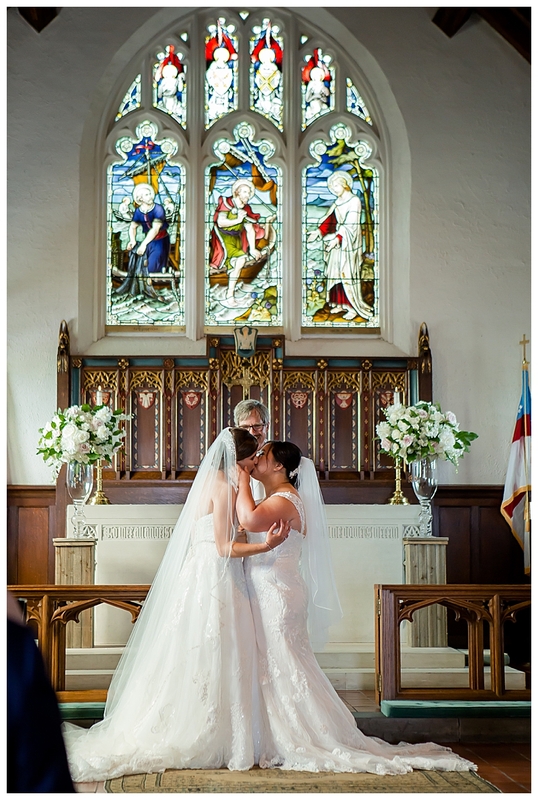 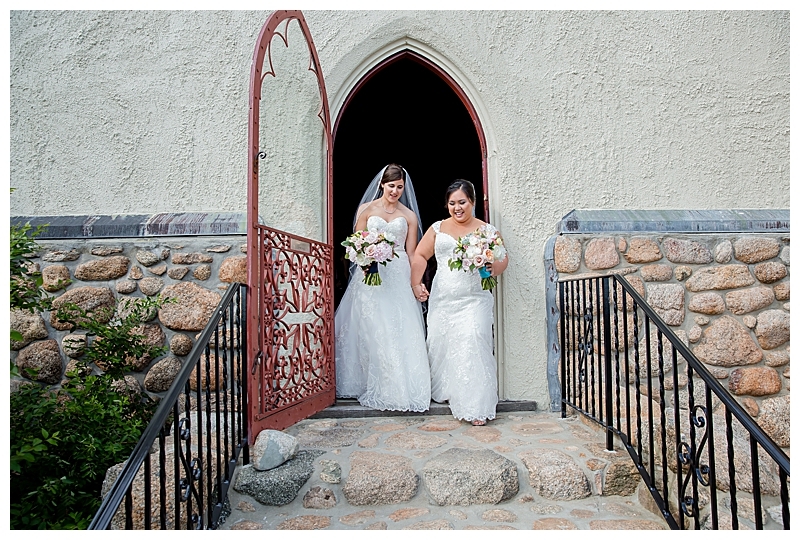 Their faith-based ceremony was held at an old stone Episcopal church that they attend when in town. 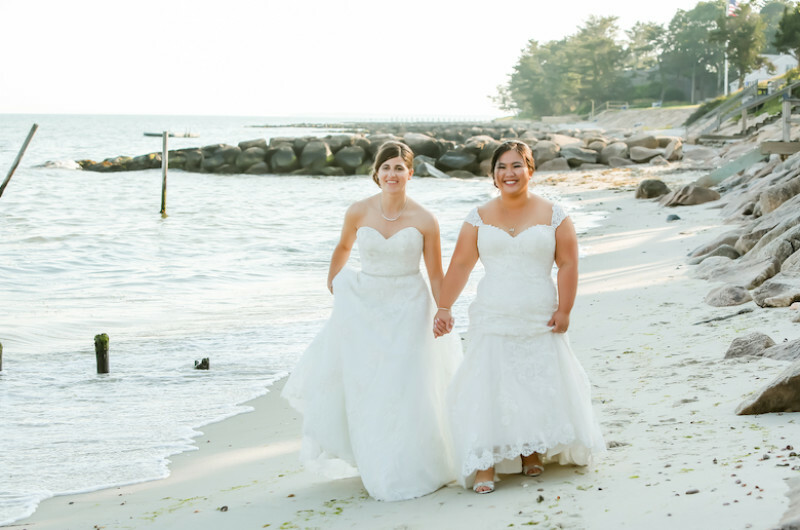 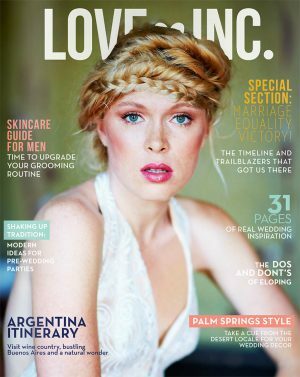 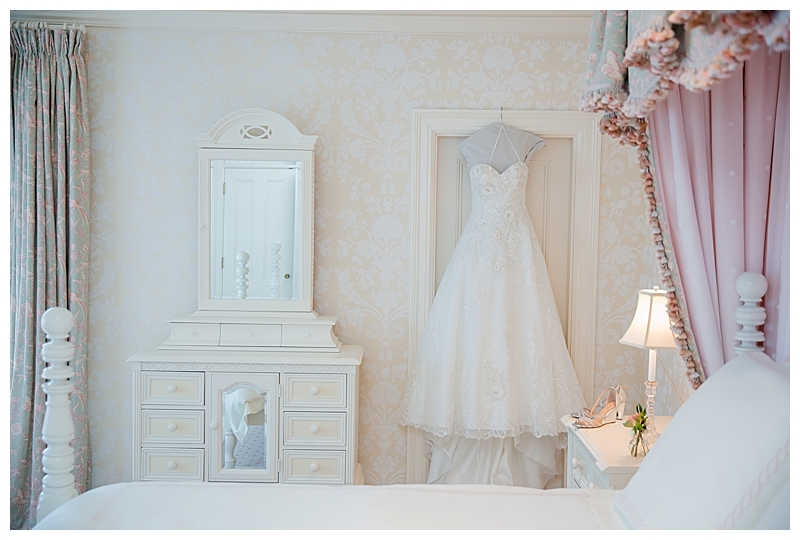 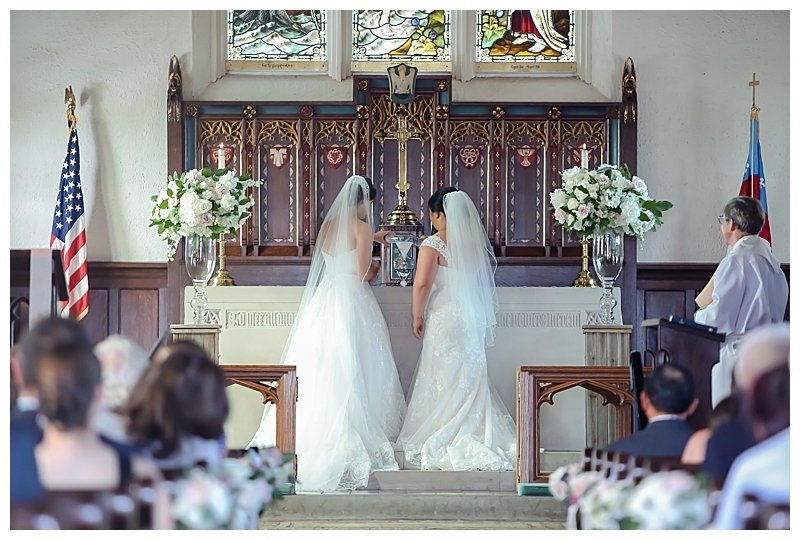 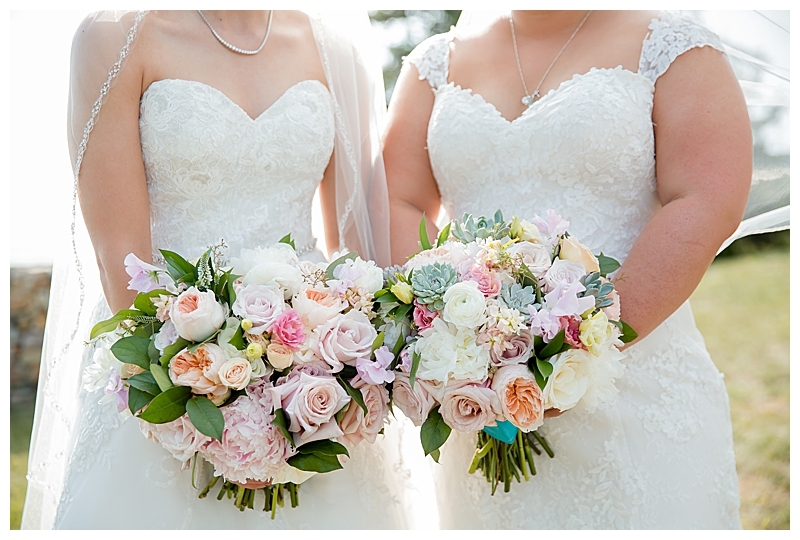 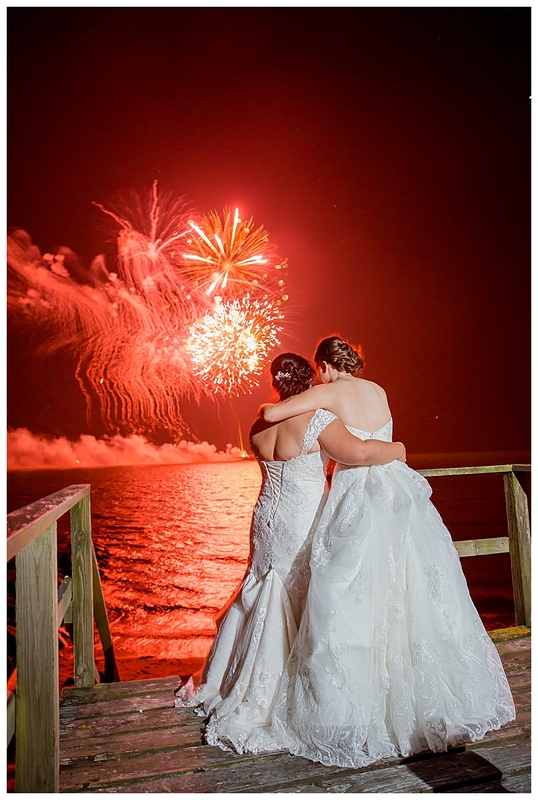 “Our Christian faith is very important to both of us,” says the brides. 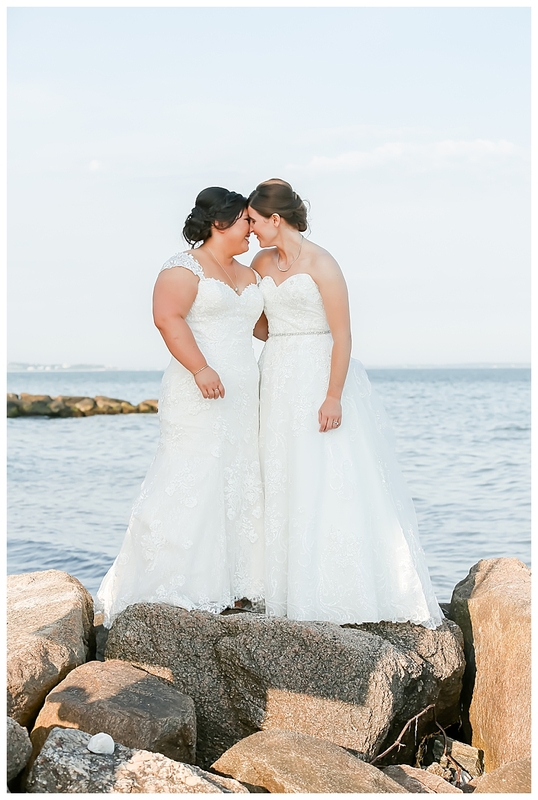 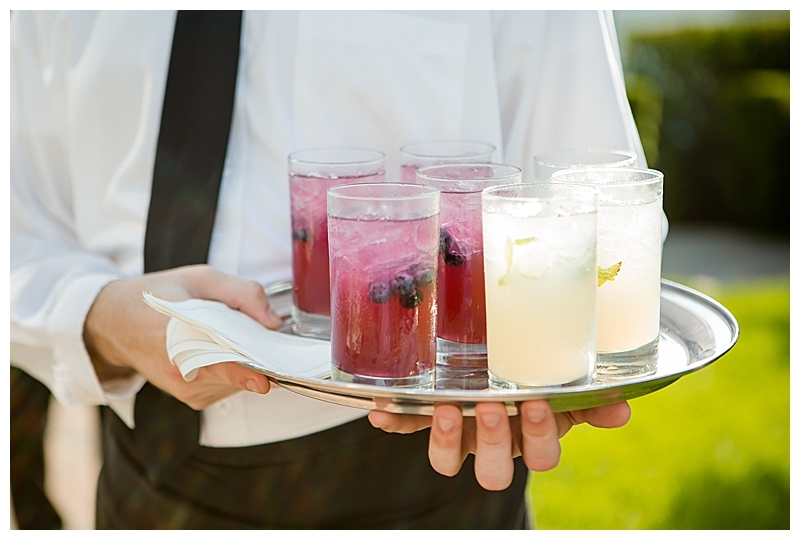 “Our officiant was involved with the Episcopal church as they became gay-affirming and he was able to talk personally about the history of that change during our ceremony which was quite moving.” They also included a sand ceremony combining the sand of the beaches they each went to as children and poured them into a heart-shaped vase.